This month's Cricut Circle Challenge is to create a scene in your project. I had to join in, since I love making scenes anyway. The inspiration for the design of my layout came from Jana Eubank, one of the Circle designers. She is the layout queen, and has tons of great sketches on her blog. See her Aug. 2nd post. All right, I've got lots of pics and details for this post, so settle in. 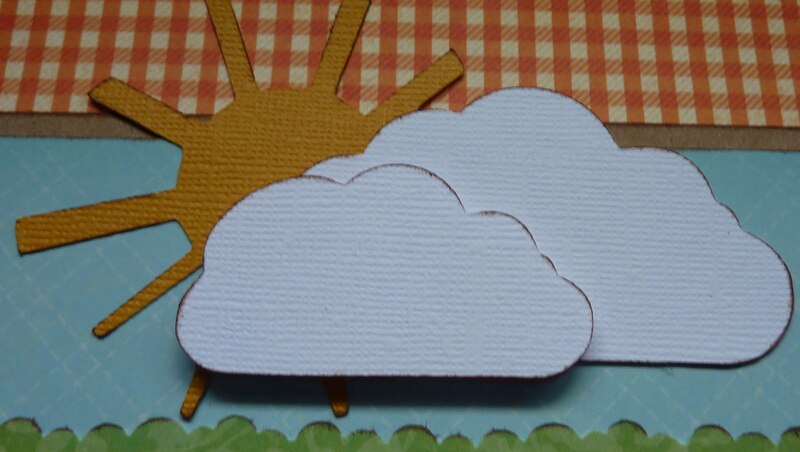 First, the cute little sun and clouds cut is from Pop-Up Neighborhood, cut at 2 1/2". 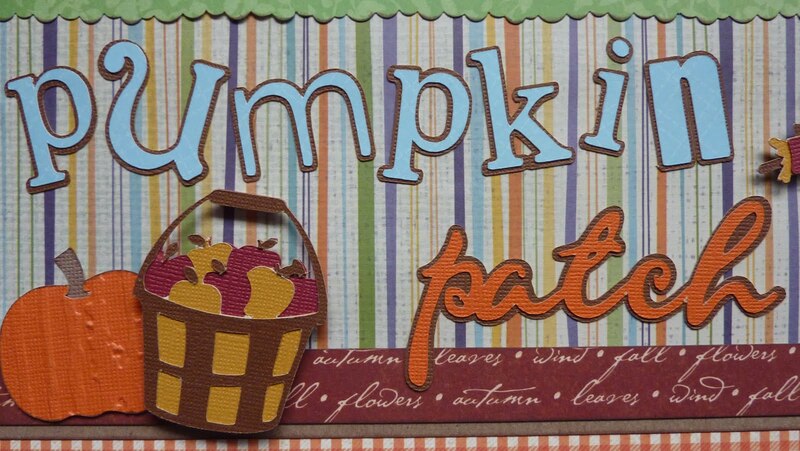 For my title, I used Cheerful Seasons for "pumpkin". Don't you love that mixed up font? It's cut at 1 3/4". I used my Gypsy to weld together 1 1/2" letters from Gypsy Font to create "patch". That adorable apple basket is another cut from Cheerful Seasons. It's cut at 2 1/4". 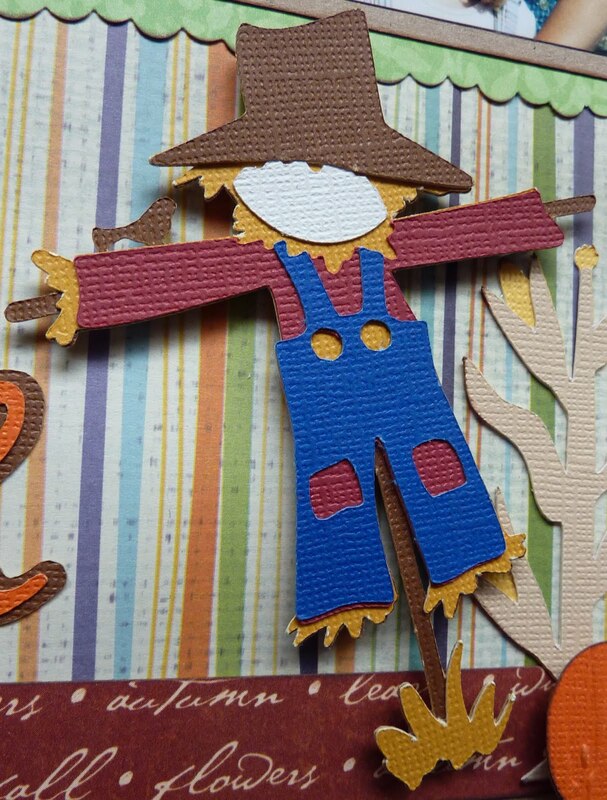 I love this scarecrow! It's also cut from Cheerful Seasons, at 4". Okay, on to the 2nd page! I made my journaling tag with the Elegant Edges cartridge. It's cut at 3", and then I turned it on its side. 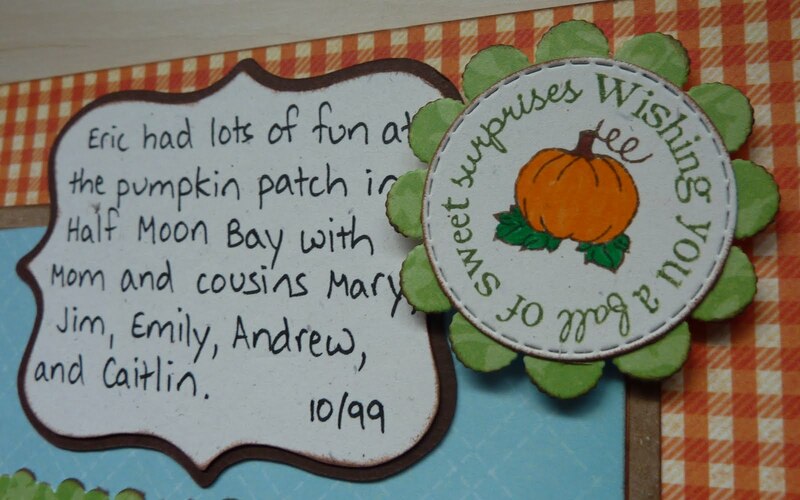 The adorable scalloped accent was made with some of the latest My Creative Time products. The stamps are from Emma's All Around Halloween stamp set, and the stitched circle and scalloped circle are made with the Scallop & Stitched Circle die. I just love that embossed stitched circle! 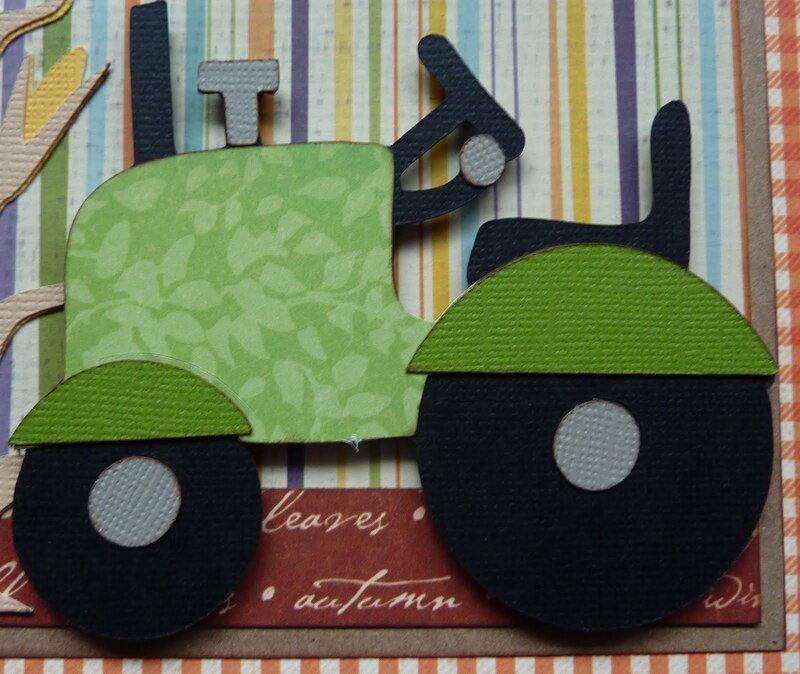 My cute tractor is another cut from Pop-Up Neighborhood. It is cut at 3 1/4". I used some of the patterned paper from the scallop and my background design to try to tie it all together. The corn is also from Pop-Up Neighborhood. There are a lot of gems on there! I cut it at 3 1/2", and then trimmed off part of it to put on the first page. 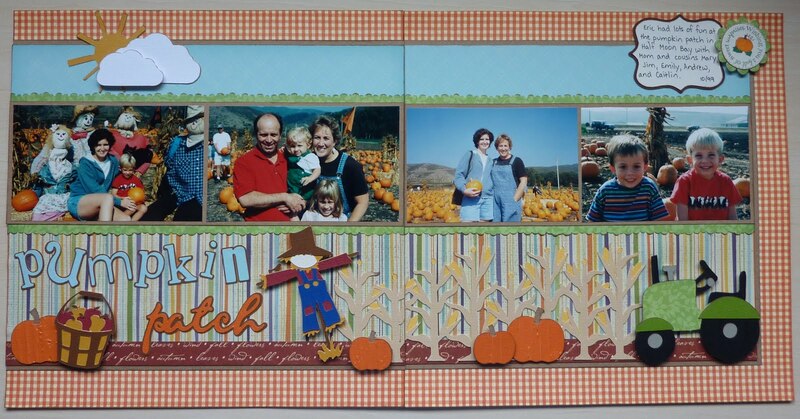 There are four pumpkins on this layout. They are from Create a Critter. I used my Gypsy to hide their faces and cut two at 1 1/4" and two at 1 3/4". For each set, I flipped one so the stem would point in the other direction. 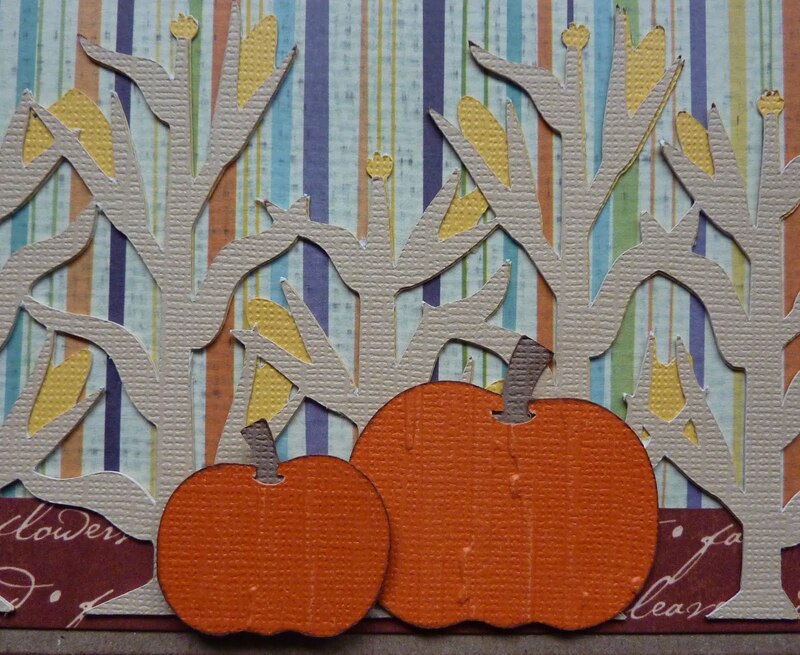 I ran the orange part of the pumpkins through my Distressed Stripes Cuttlebug embossing folder. Great layout. Love all the cuts you used. I haven't opened my pop up neighborhood yet, but now I definitely will. Great LO! I love it. I haven't been to a pumpkin patch in so long. Love your page! Makes me want fall to be here! Beautiful colors and details. Your project is fantastic! Love that font too! Oh my gosh, it's positively perfect! Love the apple basket!! OMG!! How beautiful is this?!! You have totally inspired me to go do some layours!! Thanks! These layouts are fantastic!! I LOVE the little tractor...actually love all the details. You are so stinken creative and so talented:) I just love seeing your creations! Great job!! Wonderful layout! The detail is fabulous! 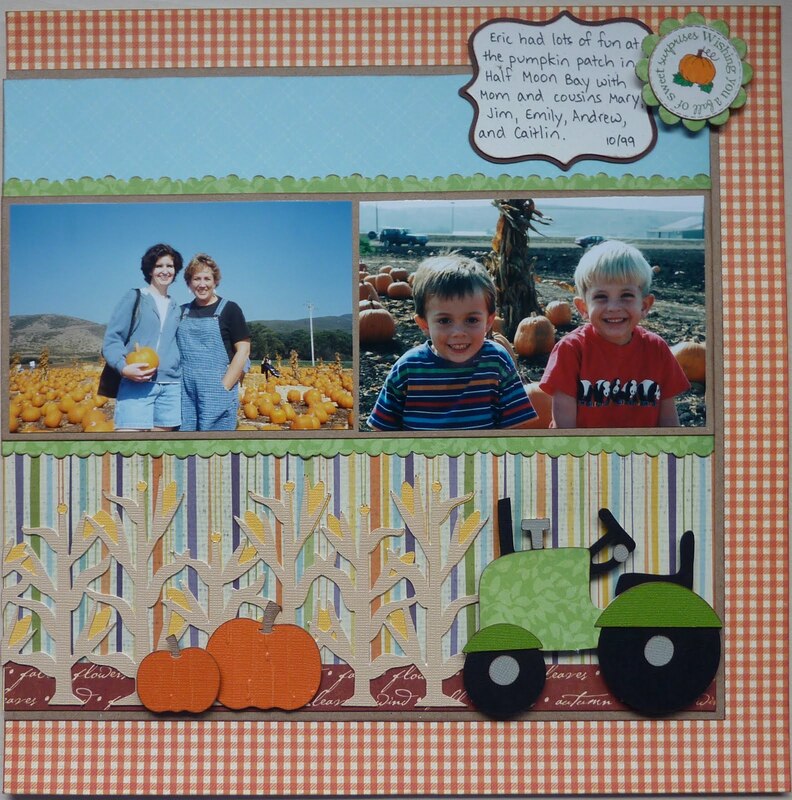 Your layout is as creative and fun as anything Jana did! Great job! So cute, love the layout!!! I just love this layout! Everything is so cute and perfectly coordinated. Flawless! Congrats. 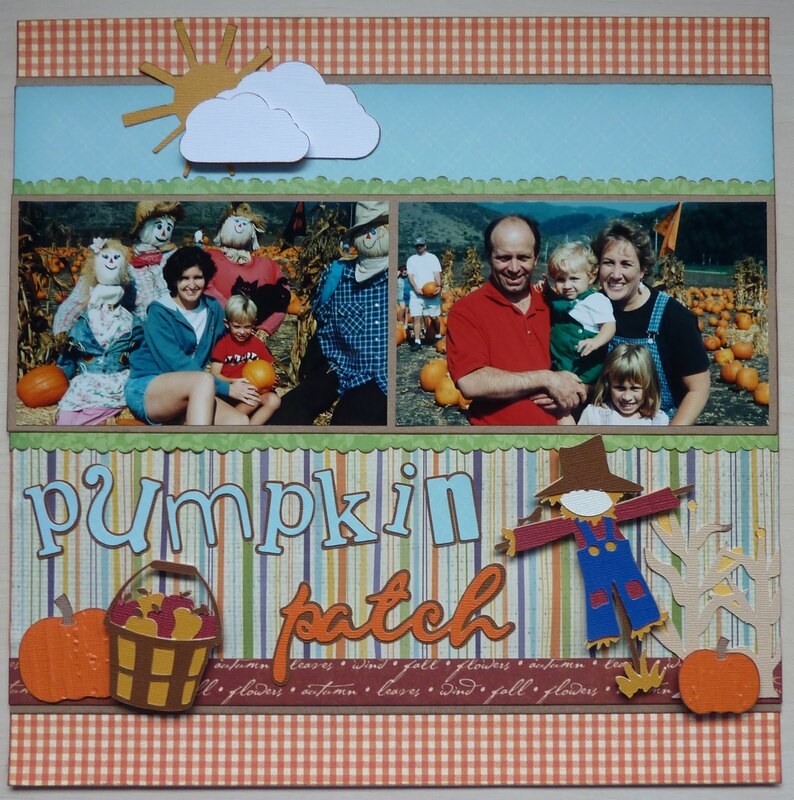 Did you know that you are project of the day over at the cricut circle blog.